We were thrilled to get the chance to speak to David Bartis. Mr. Bartis is the Executive Producer of the new Knight Rider Pilot and we spoke to him via phone at the Dutch Oven offices on January 9th 2008. This is the first part of a two part interview. KRO: Thanks for taking the time to speak with us today. Are you familiar with Knight Rider Online? KRO: There is some laughter there I hope the debates haven't annoyed you too much. BARTIS: No. It's actually been alot of fun. We're actually always online looking at what is out there and it is amazing to me what some people focus on, and what some people focus on and whats important to people. It's just a great reminder, hence the great thing about the internet, is that it's unfiltered. KRO: Right - people tend to have this one ideal of what Knight Rider is, and they just want that - and it is hard for them to settle for anything less. BARTIS: They're very very very passionate. Have you seen the Popular Mechanics comparison between the old and the new? As of yesterday it was up to 2600 postings. And I've probably read half of them now, but the level of intencity and debate about what is even a muscle car - forget about whats the right KITT - it's just unbelievable. I mean it's great cause if that many people care, you know I'm hoping its a good indicator of what audience is going to tune in. I think people always have something in their head about what a show should or shouldn't be. But when they see it their perceptions change. Even the people that are so adament about using a Mustang will see it and go "Ok, it's pretty good." KRO: Tthat's the thing - for every person that complains, you know they are going to tune in. BARTIS: Yea. Look, the fact of the mater is - we aren't going to go back to the original car - and there isn't a new version of that car that works. So, we have to pick a new car. Thats the simple fact of the mater. KRO: You're catering to a much larger audience then the loyal core group of fans, who aren't going to necessarily rememeber specifically that KITT was a Firebird or care that it's a Ford. BARTIS: I agree. That's one of the things I thought was interesting about the Popular Mechanics article. 'Cause you see the two cars next to each other and you can't look at that trans am and say "Ok, that's cooler than the Mustang Shelby 500GT" it's not! KRO: So we're very excited and happy to do anything to help you out. BARTIS: That's great. We saw the behind the scenes stuff that you posted today, that actually we hadn't seen before. So that was really cool to see on your site. KRO: Yes that video is great. Every time that something new comes out video based, more and more people change their opinions of what the show might be. BARTIS: Yea, that was really fun to see, and we're excited to see it. We're editing the show right now, and I actually ducked out of post to talk to you. We're actually looking at a pretty good version of the show already - we just started editing so we're really happy with the way it's coming together. KRO: The footage that we have seen looks great, just the way its been shot and the overall tone feels right. BARTIS: It's really fun. Thats the thing about this show. you sit there and you realize that you are smiling through most of it. it's just fun. KRO: Some of the stuff we haven't heard about yet was the back story, of how this came about? We've been online for 12 years, and we've always heard false rumors of Knight Rider coming back - but this time it actually happened. We heard Ben Silverman decided to do this again? How did that happen, and how did you become involved? BARTIS: I'm a producer who has a deal at Universal. I was approached by the studio and the network saying: "Is this something you'ld be interested in being involved in?" They had already made the decision that they wanted to make the show. So, I was lucky enough to get approached early on after Ben had decided already that it was something he wanted to do, and I think it was really smart that here are these Universal owned properties and saw it just sitting there. It just has such an incredible following, and I think with just the positive experience they had with relaunching Bionic (Woman) - here was a chance to take another property and reinvent it. KRO: How long ago was that? It seemed pretty quick to us. BARTIS: It was shockingly, shockingly, shockingly fast. I think it was the first week in August or something like that? Maybe end of July, early August? It was really fast. I have never seen something come together so quickly or a script come together so quickly. It was just remarkable. Dave Andron who wrote it did an incredible job, and basically locked himself in a room and didn't leave, cranking out draft after draft. KRO: Was there already a script written when you first came on? BARTIS: I came on before the script was writen. Dave Andron and I started at the same time. We were actually talking about doing a different project at Universal. When Knight Rider came up we really put the other project to the side and focused on Knight Rider nonstop from that point on. It was just nothing but Knight Rider from late July until we delivered the script and went to production. So it was pretty intense. KRO: What was the process like to write it and start to film? Did you go back to review old stuff? Were you already a fan of Knight Rider? BARTIS: We got on board really fast with the idea of doing it. And one of the things we did was go get all the DVDs and sit down and lock ourselves in a room and watch as much as we could. We had all watched the original anyway, I'm of the age that I was a teenager when the original came on, so I had an impression in my head but I hadn't looked at an original episode in a long time. So it was really great to go back and look at all the episodes, and then kind of poking around online and seeing what was going on. That's when I started to become aware that there was such a loyal following to the show that I hadn't been tapped into. In addition to going back and watching the episodes it was going to YouTube and seeing like 100 remixes of a scene on YouTube and tuns of fun spoofs and your website - just an incredible fan base. 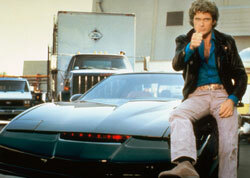 KRO: There have been three previous attempts to revive Knight Rider as a series. Did you watch any of them? BARTIS: A friend of mine wrote Team Knight Rider, but told me not to watch it, so I listened to him. We all watched Knight Rider 2000. It didn't seem like it was that different from the original series, not reinvented enough to get people excited, so it was another good reminder that the show needed a lot of new elements. KRO: We've also been hearing that The Weinstein Company is also putting together a movie. 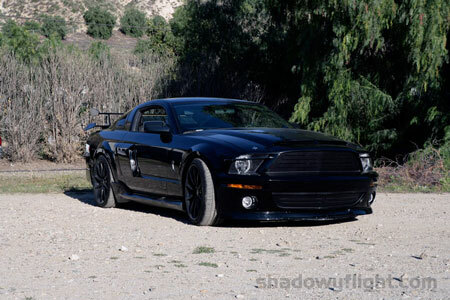 So there is a chance if this was to go to series that there would be two Knight Rider projects in the market at the same time. Even though they are seperate, do you see them as competing? Or do you think they will feed off each other? BARTIS: I wasn't aware of the Weinstein project until I saw something about it on Ain't it Cool News, so I really don't know. We are totally removed from that, we don't have any connection to it - so we don't know what is real, whats not, or how close they are. We have heard that there had been other attempts to do a feature in the past that haven't work. I know it had been setup at different companies, and I only know its at the Weinsteins now, and I don't know if they have a script or anything other than that. I don't know that there is any reason there couldn't be two projects co-existing. A feature film version is probably going to be much different then what we would do in series. KRO: When you went back and were reviewing old episodes, how did you decide what things to keep? Some of the script reviews that we have seen they have said that there isn't a mention of Turbo Boost - which is a huge debated thing back in the day when the show was against Dukes of Hazzard. How did you decide not to do Turbo Boost if you aren't doing it and how did you decide what to carry over? BARTIS: There was alot of conversation about what to keep what not to keep - at the heart of it we knew what made the original show work and what we wanted to build on was this car and the driver. The realtionship between Michael Knight and KITT is the heart of the show, it's the core part of the show. We knew that that is where we had to start so that is where we started, and then we backed into it from there. Dave Andron had this great idea of creating this character that could bridge both worlds and thats the character of Charles Graiman (played by Bruce Davison), who is the guy that designed the original KITT and now 25 years later hes the guy that designed the new one. He's the link to the old world: He knew Michael Knight. 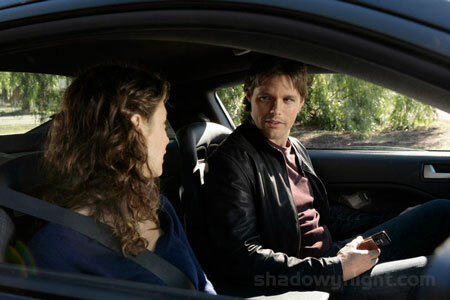 He knew Michael Knight's - the woman who he had a child (Mike Tracer played by Justin Bruening) with who is going to become the new Knight Rider. He's all that connective tissue, and his daughter (Sarah played by Deanna Russo)has a relationship with the new Mike. I think Dave did a great job in finding an oppurtunity with a character that could connect those two worlds. So with that character we could always go back and forth. So we haven't closed the door on the old world - We actually built a conduit to the old world and we can start bringing things back and forth if we need them. Thats why Michael Knight is in our pilot. We make the connection of the new Knight Rider and Michael Knight. I think people will be very pleased - the core fans will be happy to see that we honored the original in alot of ways, but that we found a way to reinvent it enough so that we can bring in a new audience. KRO: But the Turbo Boost specifically? 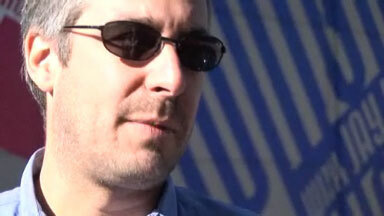 BARTIS: For the version that we are making right now - the car is not going to jump. Turbo Boost is something that we looked back and it feels a little fake. We wanted to make this car feel as real as possible. We made the choice at least in this one that We aren't going to be making any Turbo Boost jumping things. KRO: That's good to hear. We just wanted to get that question out there cause it had been the number one question we heard: "Why haven't we seen a Turbo Boost yet." BARTIS: Again, we are not ruling it out, for the future. I would just say that in this episode it didnt feel like there was a place for it in this pilot. But there is alot of incredible cool things. People have seen the car do jumps, they have seen really cool jumps - they haven't seen some of the things we are doing in this episode. So I think at a certain point if it makes sense, we will go revisit that ability and see if it something we want to re introudce. But the door is not closed on it, it's just not something we are doing right now. That's it for Part 1 of our interview with David Bartis! Check back here Monday for Part 2, where we discuss the technology behind the new KITT, how story telling differs 25 years later, and what the future holds for Knight Rider! got a news item or rumor? tell us about it! we will keep your name confidential if you need it to be. send an email to or use our anonymous form!